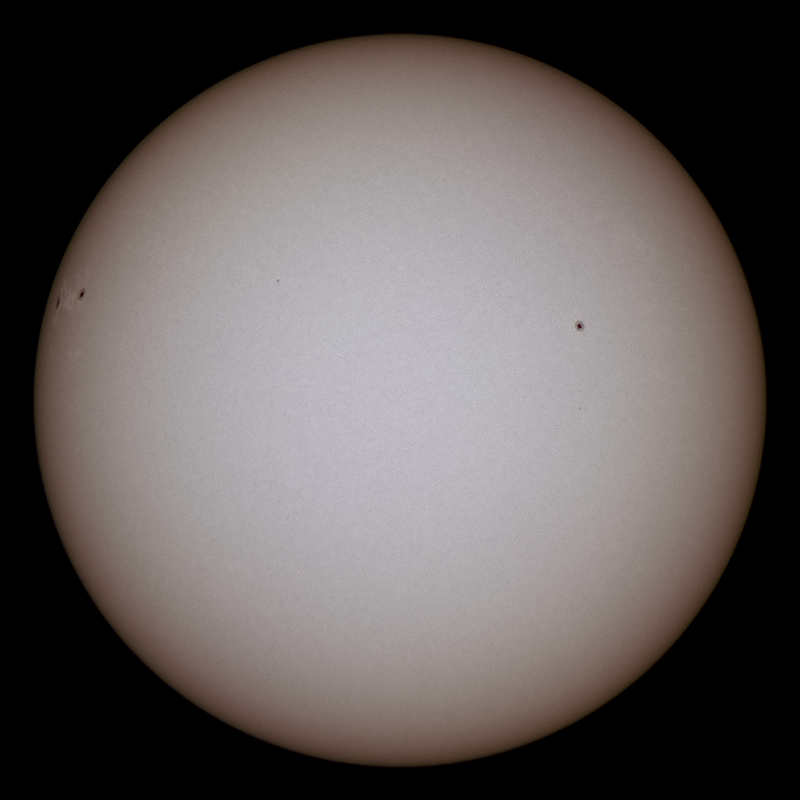 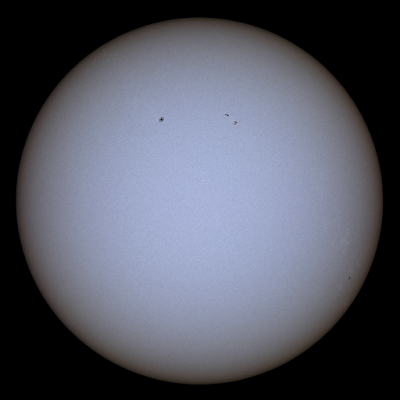 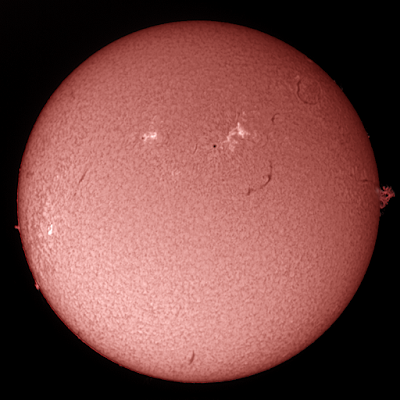 An Altair Astro GPCAM camera was placed at the prime focus of a H-alpha PST solar scope. 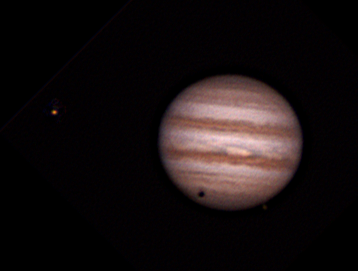 A 2000 frame AVI was captured and the best 200 were stacked in Autostakkert! 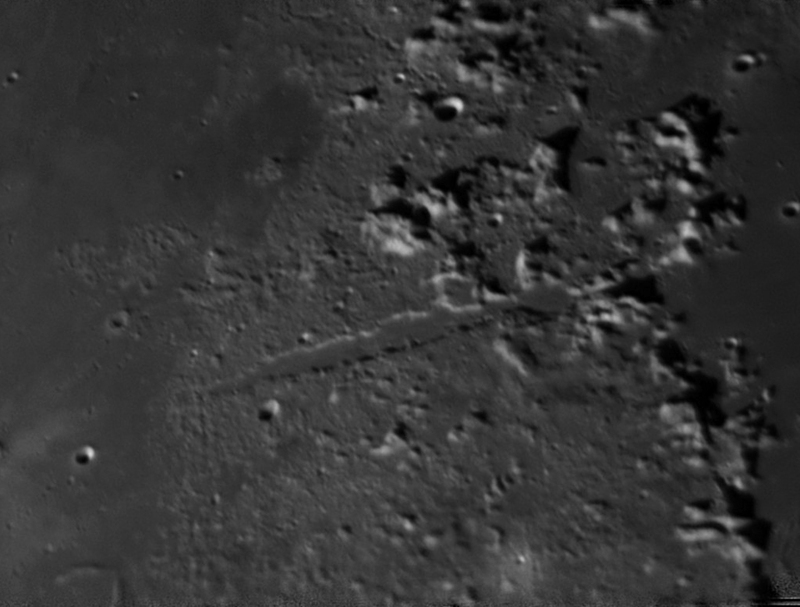 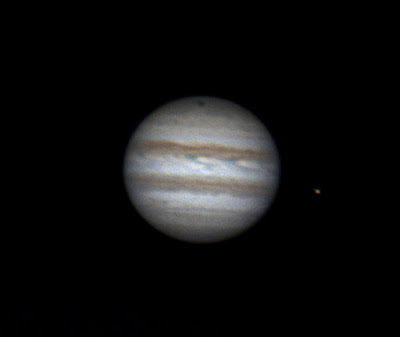 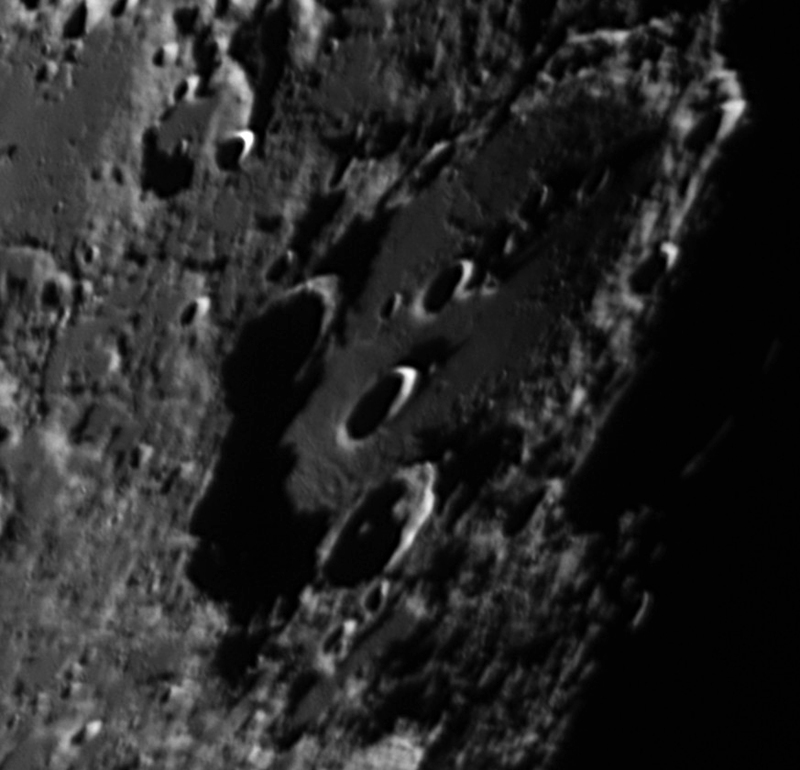 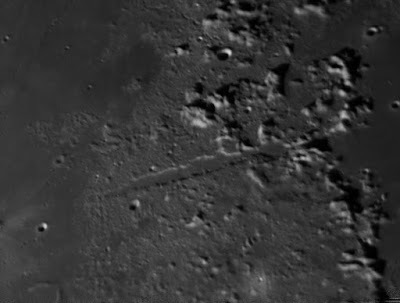 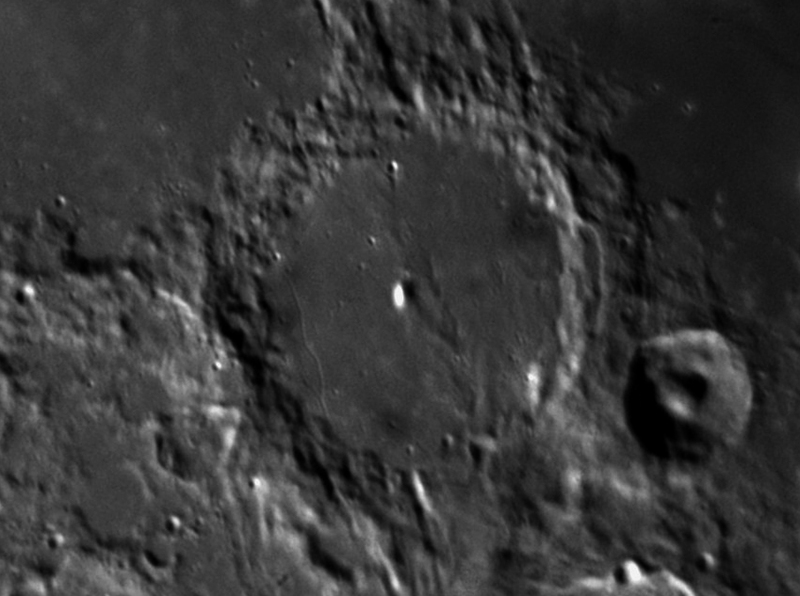 with wavelet processing done in Registax 6. 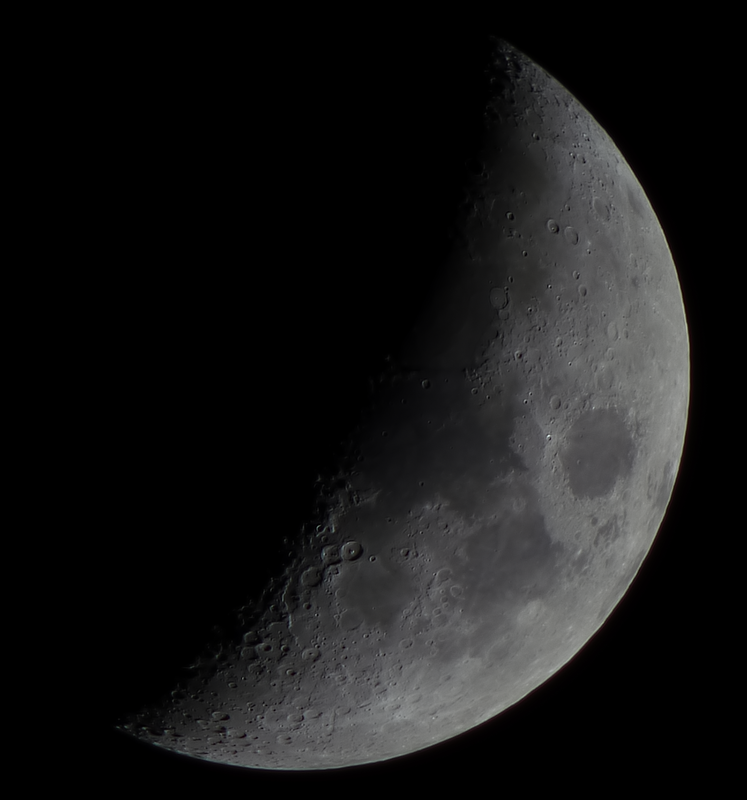 Celestron 9.25 SCT AVX, 2xTelevue Barlow, ZWO ASI120MC-S camera, 3000 images of 72% waxing Moon captured in Sharpcap 2.7, aligned and stacked in AutoStakkert!2.3, wavelets in Registax 6 and edited in Adobe Elements 11. 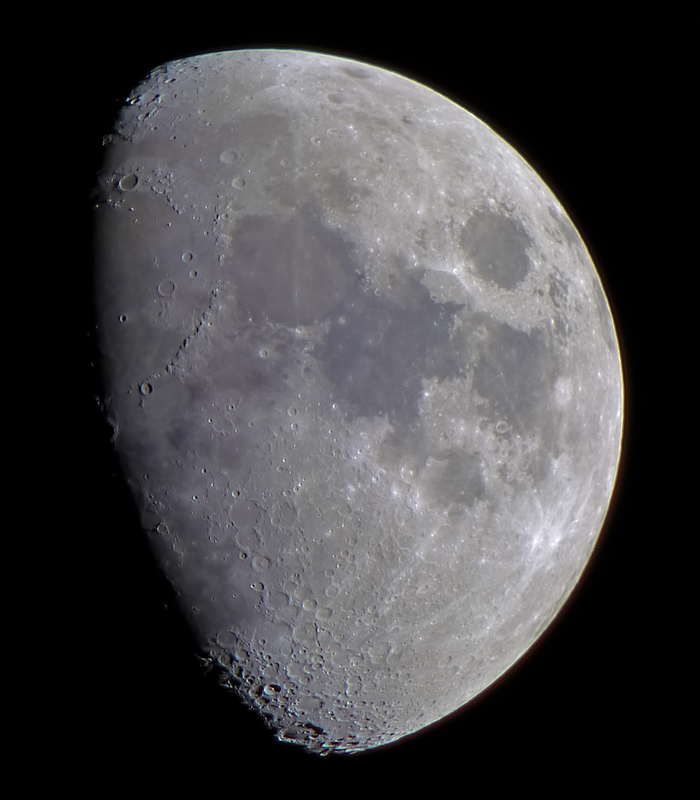 A tripod mounted Panasonic Lumix DMC-FZ72 bridge camera at 60x optical zoom was used to image the 72% waxing, gibbous Moon. 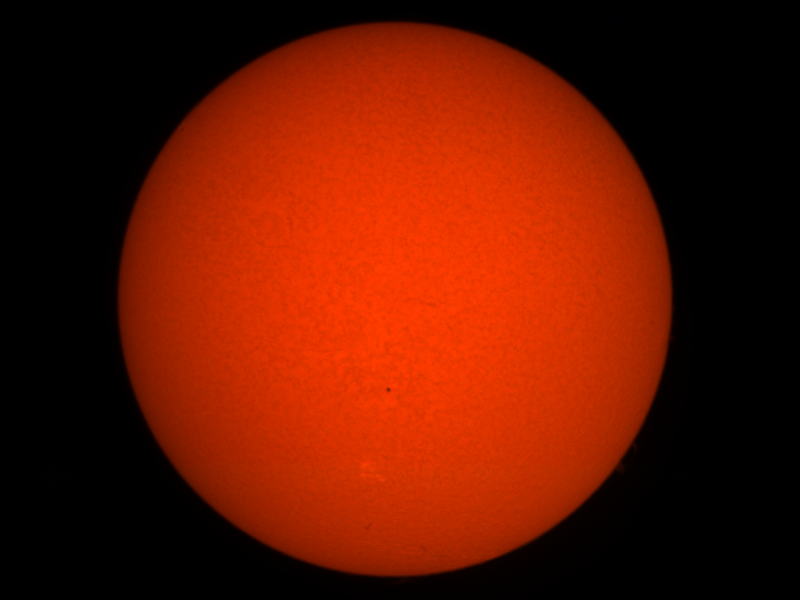 The camera was set to ISO-100 and 1/160s exposure at f/5.9. 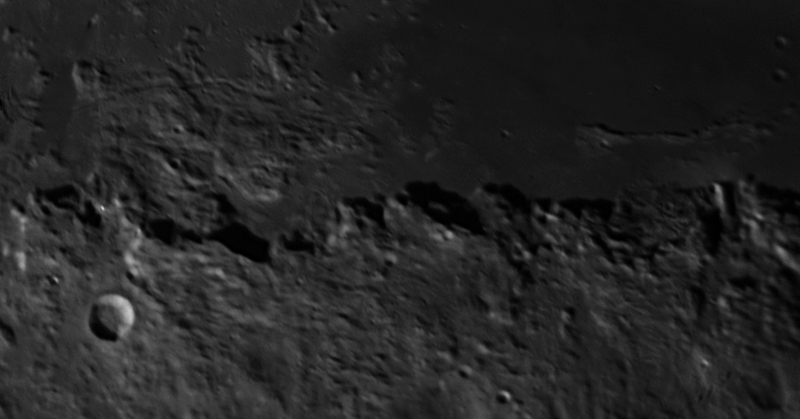 97 images, were precisely cropped and registered in Nicola Mackin's AstroCrop software, stacked and wavelet processed in Registax 5.1 with post processing in Photoshop. A PLB C2 camera was mounted on a Lunt 50mm solar telescope. A 1000 frame AVI was captured. 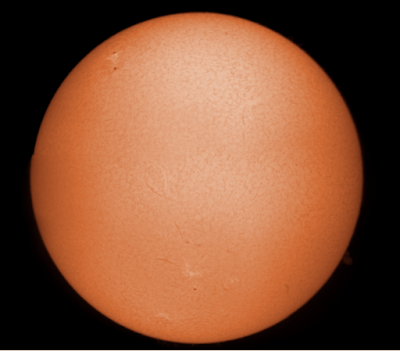 The best 200 frames captured using the camera software were Stacked in Autostakkert! 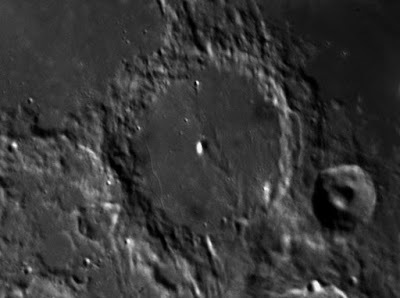 and wavelets done in Registax. 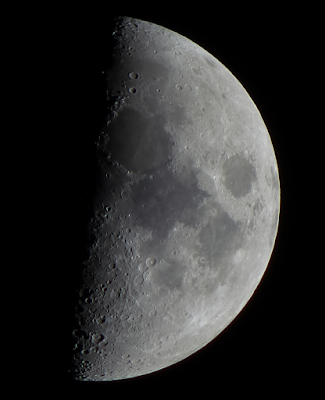 Levels adjusted and unsharp mask in Photoshop CS3. Click on the image to get a closer view. 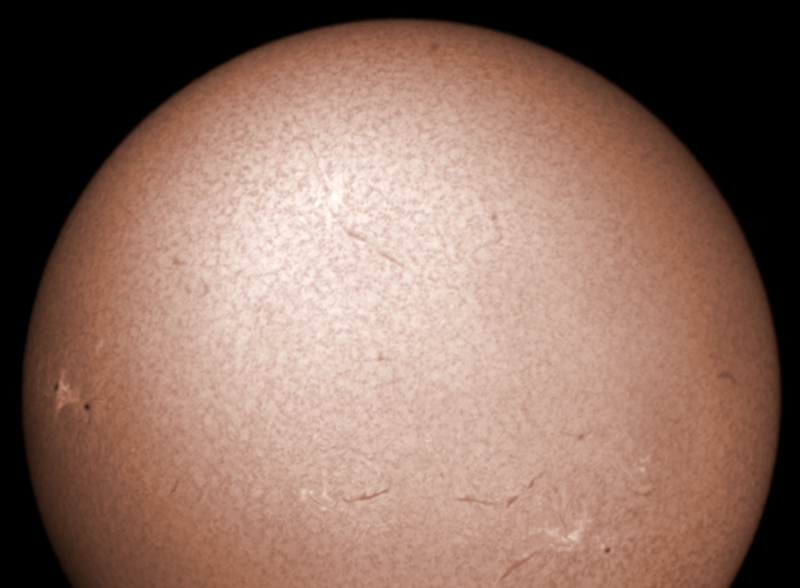 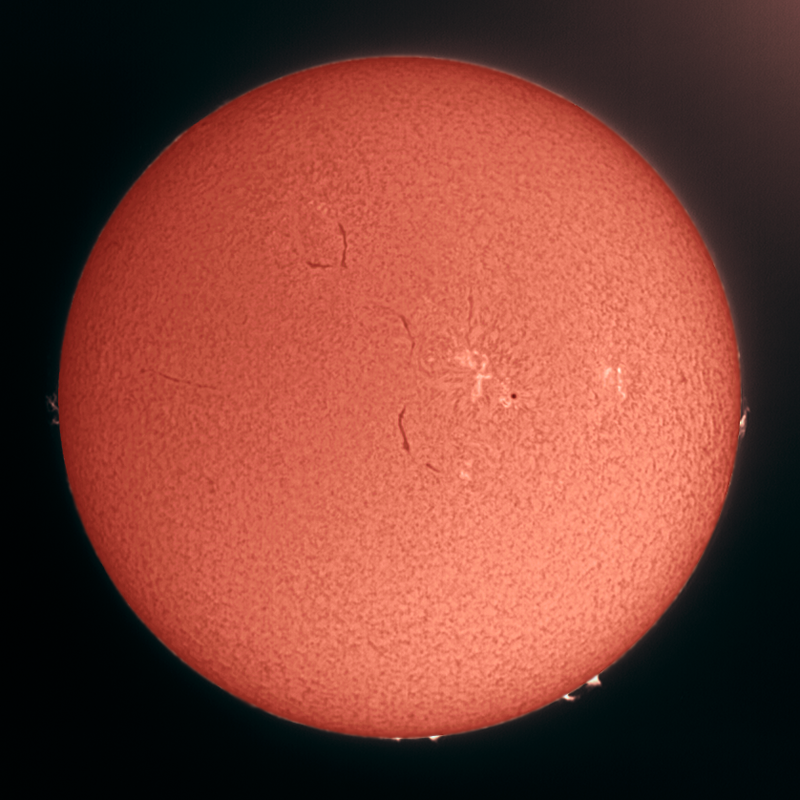 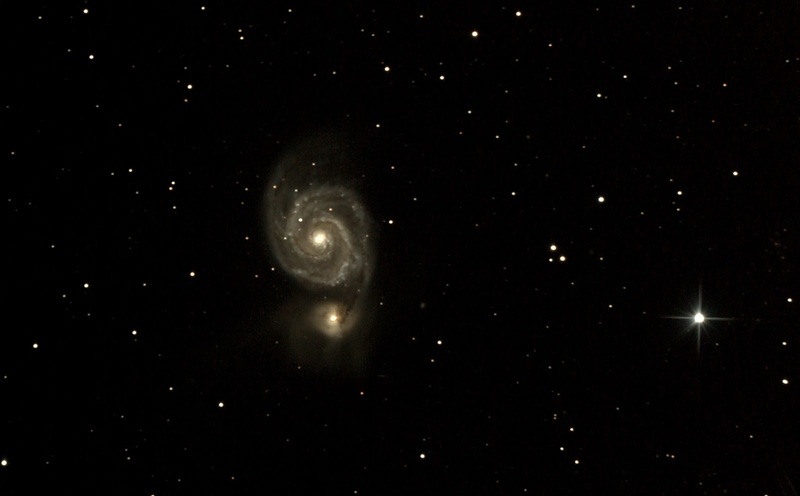 A Canon EOS 70D DSLR camera was placed at the Newtonian focus of a Skywatcher 200p F5 newtonian with MPCC coma corrector on an NEQ6 mount 17 x 300 second frames were captured on 8th March with a further 20 x 300 second frames on 13th March, all at 1600 ISO. 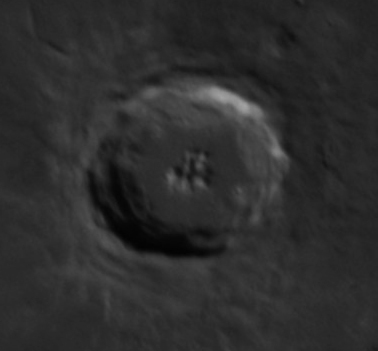 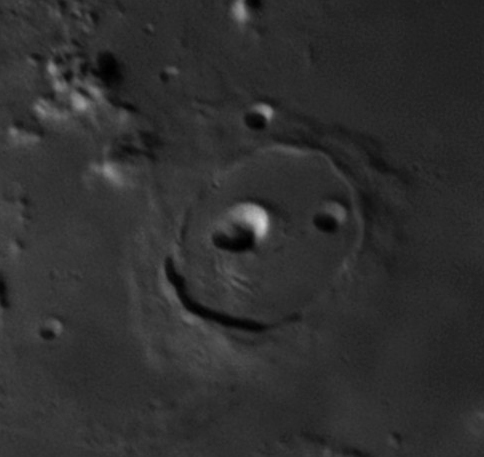 The mount was guided using a Synguider 2 camera on a Skywatcher ST80 guidescope. 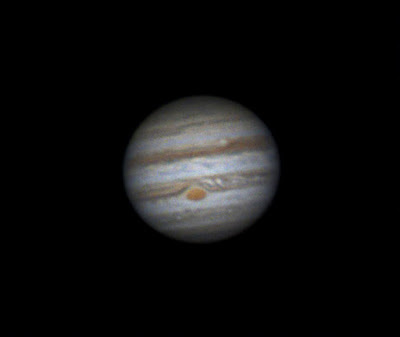 Celestron 9.25 SCGT AVX, 2xTelevue Barlow, ZWO ASIMC120-S camera, 7546 frames captured with Sharpcap 2.7, 500 aligned and stacked in AutoStakkert!2.3, wavelets in Registax6, edited in Adobe Elements 11.